So what is ChainLink? For those who have heard it, it’s either a memecoin or something that’s going to going to change the world (literally touted as the next Ethereum). The reason you don’t hear about ChainLink (LINK) is because the developers don’t go marketing their product at all. While Justin Sun, the founder of Tron is amazing at hyping up every new development, ChainLink’s Sergey Nazarov is quite the opposite. ChainLink’s founder rarely tweets, apparently refuses to do interviews, and doesn’t really interact with anyone outside the occasional Slack group comment. If you want an in-depth guide on what ChainLink is and the problem it solves, check out this article here. 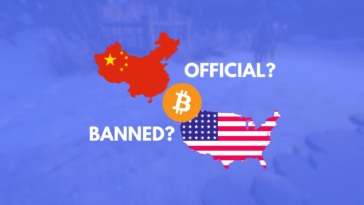 So why is this article about ChainLink? Why not any of the other 1489 cryptocurrencies that vie to be the next Bitcoin or Ethereum? Well, let’s take a look at ChainLink’s rather weird story first. The ChainLink ICO was quite hyped up in a certain community – 4chan’s /biz/. Failing to spark the marketing bullwhip outside isolated tech circles on 4chan and Reddit, ChainLink’s ICO wasn’t exactly the most well-known, despite selling out. There was some post ICO drama regarding tokens not being paid out correctly, and the ICO didn’t even use smart contracts, despite ChainLink being a product of Sergey’s Smartcontract.com platform. A rather beautiful part of the ICO distribution was the presale ICO, with a minimum amount being 100 ETH each. Well, that’s not the beautiful part – because few people aside from institutional investors could afford it (remember, this is September 2017, the price of ETH is around $300 each). So a bunch of 4channers from /biz/ pooled up their money and shared ICO links to participate in the presale. The story after that gets ugly. ChainLink’s price didn’t continue to spike after the token release, like anticipated. 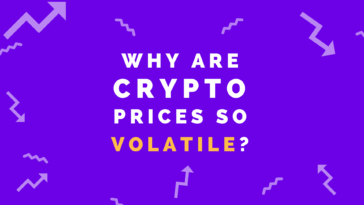 After a parabolic initial increase, the value dropped and Chainlink hype subsided. The people who made posts about the ChainLink ICO being a scam due to its rather incongruous set up came out of the woodwork laughing at everyone for buying into it. ChainLink only continued its growth during the December 2017 alt bull run. It’s still never reached its BTC all time high of 10000 sats achieved in October. In cryptocurrency terms, holding a coin that doesn’t grow for several months is unacceptable, and most investors would have exited LINK a long time ago. LINK is a decentralised oracle solution that bridges the gap between the real world and blockchain based smart contracts. While smart contracts can only be executed internally on the blockchain, there needs to be something that links external APIs to the blockchain, so smart contracts can execute automatically based on real world factors (market movements, retail payments, weather or anything else). The product that does this is called an oracle. The problem is, oracles are centralised, or owned by a company/organisation. How can we trust a decentralised smart contract to execute based on centralised real world data? One of the reasons smart contracts are catching on is the basic properties of the blockchain; trustlessness and immutability. When a third party or even second party provides the oracle service for executing a smart contract, that trustlessness goes away. ChainLink’s solution to that is decentralised oracles powered by Ethereum based ERC20 tokens. The veracity of the data can be established in a healthy, vibrant decentralized network of oracles like what ChainLink seeks to accomplish. What does ChainLink have going for it? The most touted line by ChainLink believers is its partnership with SWIFT, which is no small feat. Very few cryptocurrency projects have the ability to say they have a real partnership with one of the largest financial institutions in the world. Though it’s also likely that Sergey and his team are helping SWIFT develop their own smart contract solution, instead of using ChainLink. We don’t know. There really aren’t that many players in the oracle space, and even fewer trying to create a decentralised network. ChainLink’s other competitors include Mobius, Aeternity and… that’s about it. Still, neither of those projects, despite having a higher market cap, receive the same amount of social media buzz as ChainLink. So why should Sergey Nazarov have the last laugh? Well, for some inexplicable reason, this ~350 million market cap cryptocurrency has the backing of meme magic levels previously only witnessed from Donald Trump’s election campaign. 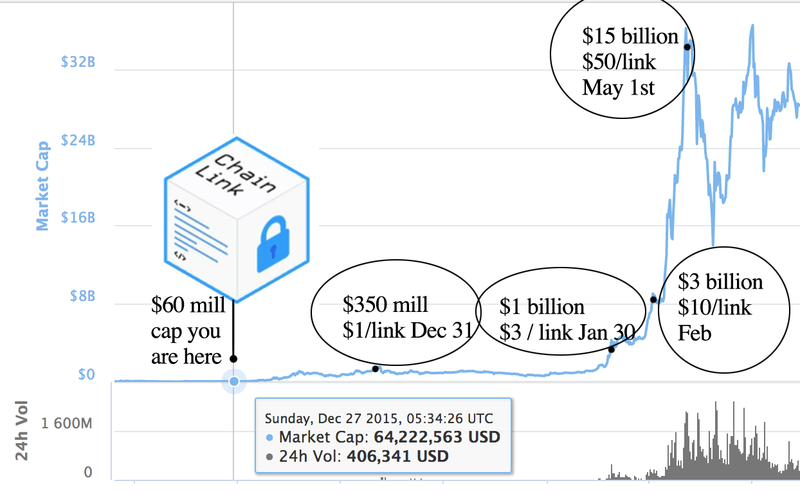 With price predictions from September that have come true to the absolute belief of ChainLink supporters in the solution that the project provides, LINK isn’t going down so easily. ChainLink price prediction: Memes really do come true (sort of). Since LINK is so often overlooked, people don’t really look at the already existing industry partnerships which blow most tokens out of the water. In a world where a single hype tweet can take a cryptocurrency to billion dollar market caps, ChainLink actually has some substance behind it. The hype around ChainLink derives from the use case of smart contracts. People have seen the trends that the media has picked up; right now it’s Bitcoin. It’ll soon be blockchain solutions, then decentralised applications, and then probably smart contracts. When smart contracts is the next buzzword being shilled by news agencies across the globe, the projects that are fundamental to its success will see a huge growth spike. If LINK succeeds, it becomes the de-facto token for a vibrant and exciting space in tech. Chainlink never went below ICO price in term of USD hello ? you write. The arena hopes for even more passionate writers like you who are not afraid to mention how they believe.